... on the Tongariro Northern Circuit. 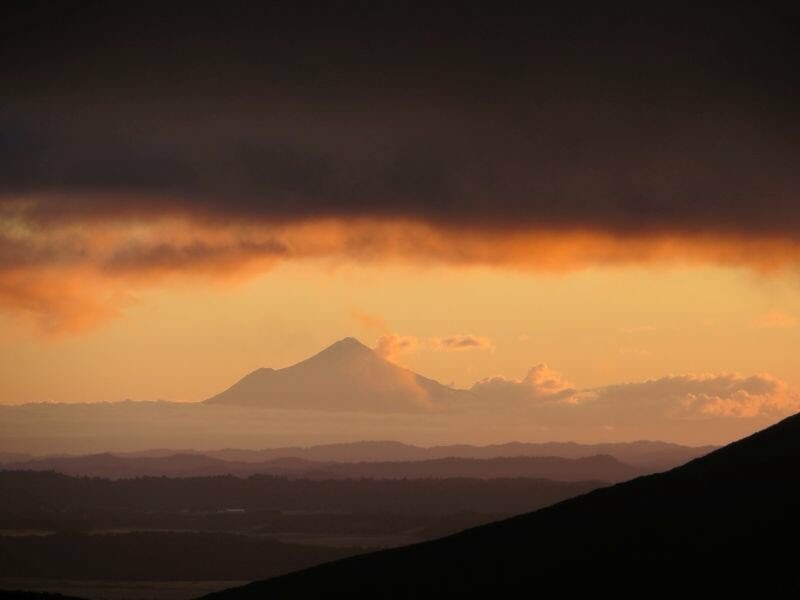 This central North Island "Great Walk" is a loop circumnavigating Mount Ngauruhoe (aka "Mount Doom") and much of the Tongariro volcanic complex. The terrain varies but is mostly a mixture of lava fields and somewhat barren alpine plains scoured by old pyroclastic flows (most recently by the "super-colossal" ~1800-year-ago Taupo eruption). It doesn't take much imagination, or sophisticated marketing, to see it as (a peaceful and beautiful version of) Mordor. We completed the Circuit yesterday, after four days of hiking. It's certainly possible to do it in three or even two days, but we took it easy and had time to do all the side tracks: the Tongariro summit track on day two (Mangatepopo Hut to Oturere Hut), the Ohinepango springs near Waihohonu on day three, and the Upper Tama Lake track on day four (Waihohonu Hut to Whakapapa Village). Thank God, we had perfect weather. We also had a great time lounging around at the huts talking to other trampers of all ages, and even playing a variety of games. Overall it was another wonderful "Great Walk" experience. The only improvement would have been if one of the volcanoes was erupting, but you can't have everything! The new Waihohonu Hut was impressive. It's probably the best DoC hut I've yet seen: multiple outdoor decks with picnic tables, well insulated, a very spacious common area with wood-burning stove, eight gas cooking stoves, solar-powered LED lighting, and even solar water heating! After destroying a couple of cameras by getting them wet while tramping (only cheap point-and-shoots), I bought a waterproof camera. On this trip I took some underwater photos and they turned out quite well!